Sweet potatoes are my love language. Like, I cannot properly express in words how much I adore them. They are the single most missed item on my plate when we’re sticking to the GAPS diet, but since we’re not right now, I made this lovely roasted sweet potato recipe. I hate that sweet potatoes are not allowed on GAPS because they can feed yeast and other baddies due to their starch content, but if you’ve got good gut health, enjoy away, because sweet potatoes are actually super healthy. I’ve told you about how I’ve struggled with adrenal health, and everything I’ve done to recover. Part of supporting the adrenals is eating a sufficient amount of carbohydrates, especially for women, whose carb needs are higher than men’s, particularly in childbearing years and especially during pregnancy and breastfeeding. White potatoes tend to make me feel bloated and gross, so I limit how much I eat them, which leaves my beloved sweet potatoes. Not only do I intuitively know I need them, I crave them. If I don’t have several servings a week, I get to jonesing. Likewise, I feel my best when I’m eating several servings of sweet potatoes per week. 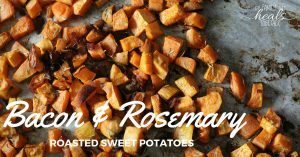 It’s not hard to find a good roasted sweet potato recipe because sweet potatoes are delicious however you roast them. I’ve roasted them for years with my choice of oil, a little real salt, and some spices, and they’re always good. Recently, however, I created this amazing roasted sweet potato recipe. THE roasted sweet potato recipe. The one I now make several times a week and our whole family devours. Honestly, everyone loves them and there are never leftovers. Even if we’re stuffed, we fight over the last spoonful. 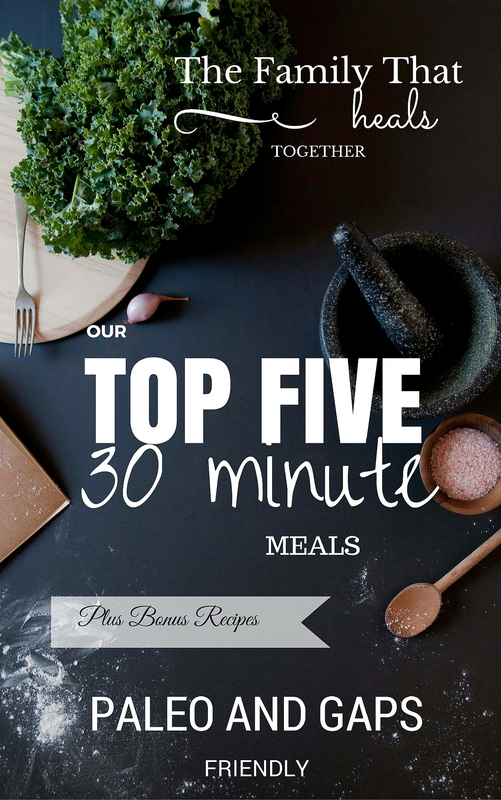 This recipe contains simple ingredients, but when combined, the flavors are incredible. We’ve got sweet potatoes. Any kind will do. Heck, use yams if ya got ’em. Plus a little avocado oil, one of my fave fats for cooking because of its versatility and ease of use. Try this one. Pederson’s Natural Farms sugar-free uncured bacon, which I’ve been so thankful to find at my local big-box store! Dried rosemary (a favorite herb to add to everything, especially as the holidays approach!). And a little real salt (the only salt I use). Get it here. Grab my Bacon and Rosemary Roasted Sweet Potato recipe below! 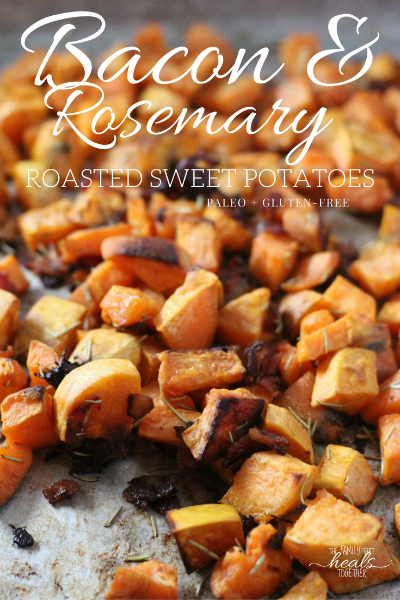 Do you have a sweet potato loving friend who needs a fresh roasted sweet potato recipe? Share using one of our links and be sure to pin the image below! Place sweet potatoes on a large, parchment-lined baking sheet. Sprinkle real salt and rosemary evenly over sweet potatoes. Place in preheated oven and roast for 45 minutes, stirring every 15 minutes.